Hay made her own Sunshine ! I first read her tiny book “You can heal your body” in 2004 and then the book which has become a bedside companion ever since – “You can heal your life”. 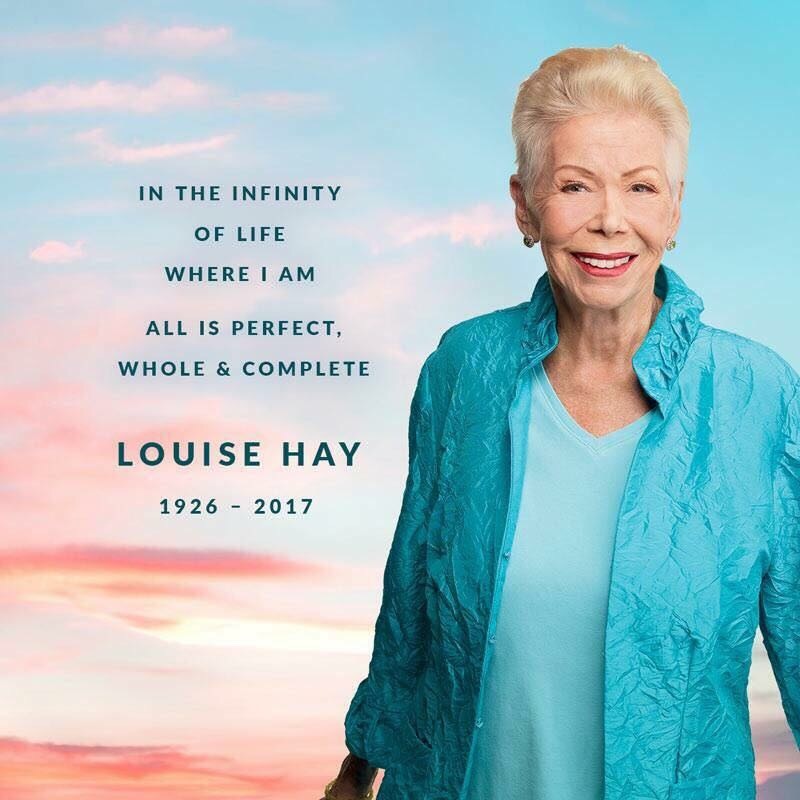 From being raped when she was a young girl, to overcoming cancer without any medicines and living a full life that inspired millions to lead better lives, Louise Hay did it all before calling it a day today at 90 …. Affirmations were her key and long before the “Secret” was written as a book, she helped millions to discover their secret. There are about 20 pages in the book “You can heal your life” which give the psychosomatic reasons for various illnesses and every time they are spot on. “Dis-ease” is more in the mind than the body…. and Louise Hay helped you heal the mind. We have gifted her book to many people and her affirmations are an important part of our leadership coaching toolkit. Am sure her books, audio tapes and her programs will help millions more to lead meaningful, healthy lives in the years to come. Thank you Louise. You remain by our bedside and we will continue turning to you for advise as always. May the transition to your real home be a glorious one, for you have left behind a better world. In the infinity of life where I am … all is perfect, whole & complete. Indeed. I didn’t know she had died. What a nice commemorative blog. I’ve certainly heard of her but never read her books. Will check into them. Katharine – do read her book “you can heal your life”. It’s brilliant. Will do. I looked for her books, briefly, at Barnes and Noble yesterday but didn’t find them. I will make a more determined effort soon.